Hello guys, how are you all doing today? I hope you’re all quite up to the mark. Well as for me don’t doubt, I am doing just more than fine. Besides that, I will be resuming school next week, I hate waking up every day early in the morning leaving my bed. Anyway since its for my own goodness I just have to do this, they say success does not come on a silver Plata. So I gotta put my heart into it and do this and pass my exams so that I can be through with this as soon as I can be. Talking of getting papers, have you guys by any chance came across a game called PAPERS PLEASE? Today we will be featuring one of the most underrated games for Linux that is still on our radar until today, has anyone come across PAPERS PLEASE? Finally, Linux Gamers can play this game now and it works perfectly on Ubuntu, Linux Mint etc. This is a must download game for all of Linux Gamers out there, as it was developed by 3909 and published by 3909. 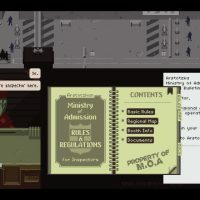 What Is Papers, Please Game About? Your job as immigration inspector is to control the flow of people entering the Arstotzka side of Grestin from Kolechia. Among the throngs of immigrants and visitors looking for work are hidden smugglers, spies and also terrorists. 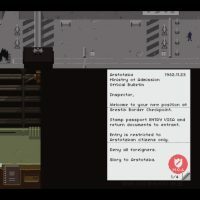 Using only the documents provided by the travelers and the ministry of admissions primitive inspect, search and fingerprint systems you must decide who can enter Arstotzka and who will be turned away or arrested. 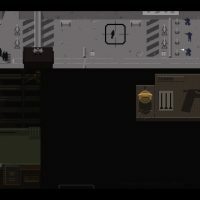 Papers please is a game that does so much right that’s just shocking. I played the entirety of Papers please back to back trying to chase down a few achievements and both play throughs were pure brilliance in video game form. I’ve never had a game made me think even half as much as Paper please did in just 16 hours. If you like games that are basically just you having to jump through more and more hoops every round and memorizing inane details of fake countries so that your family doesn’t die, then you might like this game. Otherwise give it a miss.